So...I bought a Thoroughbred! We adopted Iced Over from Friends of Ferdinand about 1 month ago. I sold Fergie to friends of her breeder. She is living the life with 2 young men riding her, mostly western. I decided after 3 years that I needed to have fun again on a horse, not constantly be worrying about being dumped. Iced Over is fantastic! He is very forward which is a totally new experience for me but will stop politely when asked and tries so hard to do everything I ask. I have taken him to several outings and he has handled it all beautifully. I have gotten the chance to ride a few times in our outdoor arena and he was perfect. No spook! Will be sharing our adventures - here are some pics to get you started! Hooray! I'm so glad you are blogging again. Congratulations on the new horse. yaaaaayyy!!! Looking forward to hearing about your adventures! I am the wife of a very supportive husband, mother of two strong, beautiful young women, and owner of one lovely Warmblood Thoroughbred Cross and one handsome Thoroughbred. 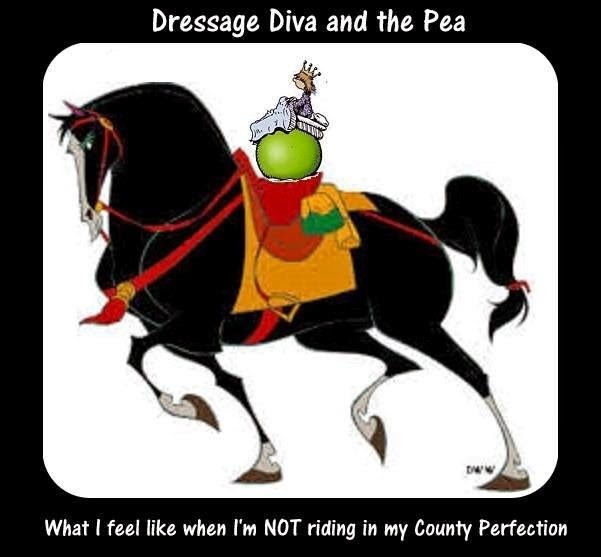 The Diaries is all about our life and love of Dressage.